Following these tips will help you avoid any issues while traveling for the holidays. The holiday season is one of the busiest travel times of the year, which can lead to long lines at the airport. No matter if you are flying halfway around the world, or simply to the next state over, knowing how to stay safe will help you fully enjoy your holiday. 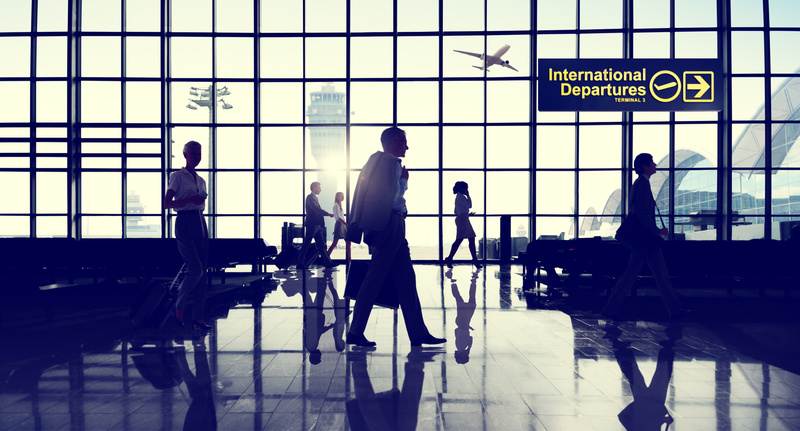 Keep these airport & travel safety tips in mind to help you get ready for your travels. Carefully pack your carry on – if you are able to pack everything in your carry on, you will save tons of time. Even if you are checking your bag, you should bring a carefully packed bag with you on board. Your carry on should include your ID, passport, medications, valuables, and electronics. Keep in mind that your bag may get lost so ensure you have the essentials with you. Ship what you can – if you are bringing holiday gifts, ship them before you board the plane. Not only will it help to save space in your bag, but it will also ensure that security doesn’t have to open your perfectly wrapped gift. Check in online – almost every airline allows you to check in online before you even get to the airport. Checking in online will allow you to pick your seat if you haven’t already. Checking in will also reduce your chances of being bumped off an overcrowded flight. Take out your credit card – most airlines will only allow you to pay for food, drinks, or in air entertainment with a credit card. Keep one credit card handy so that you don’t have to dig through your bag and hold up the flight attendant. Before you head to the airport, take the time to look at your insurance policies to ensure that you have the right amount of coverage this holiday season. Contact Gee Schussler Insurance Agency in Orland Park, Illinois for all of your insurance coverage needs.